Fact: Rocker Thom Yorke used the Rag & Bone New York Fashion Week presentation on Monday (14Sep15) to debut new track Villain. The haunting tune, featuring students from the Brooklyn Youth Chorus, served as the soundtrack for the clothing brand's new collection and played as the models strutted down the runway. The Radiohead frontman previously provided the music for Rag & Bone shows in 2011 and 2013. Fact: Radiohead frontman Thom Yorke's new solo album Tomorrow's Modern Boxes has been downloaded 1.2 million times since he launched it via filesharing service BitTorrent last week (ends26Sep14). Quote: "There may have been some internal politics and it may be my fault for only being in touch with Thom... I'm not sure if when he heard it or heard the shape it was taking whether that was his cup of tea or not. I don't know. He's never really revealed why he pulled out. But that would have been nice." Peter Gabriel on Thom Yorke's decision to pull out of tribute album And I'll Scratch Yours after the veteran rocker covered Radiohead's Street Spirit (Fade Out) on his Scratch My Back project. 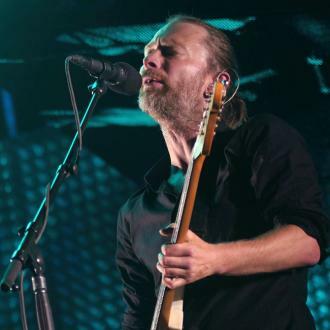 Fact: Thom Yorke's group Atoms For Peace played a surprise show at Los Angeles' Fais Do-Do nightclub on Friday (14Jun13) ahead of the band's summer (13) tour of Europe. The Radiohead star was joined by his bandmates, including keyboardist-guitarist Nigel Godrich, bassist Flea and drummer Joey Waronker. Fact: Radiohead star Thom Yorke wowed clubgoers at tiny Los Angeles nightspot The Airliner on Wednesday night (09Mar11) when he showed up to DJ. Fact: Radiohead rocker Thom Yorke has finally settled on a name for his new side project. Yorke debuted the then-untitled group, which features the Red Hot Chili Peppers' guitarist Flea, in Los Angeles last October (09), and he has now decided to call the band ATOMS FOR PEACE. 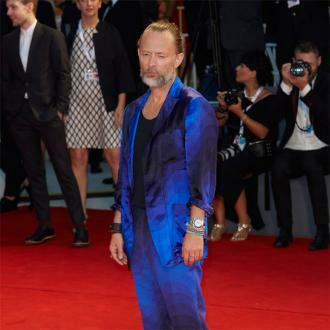 Fact: Thom Yorke has penned a new track for the forthcoming TWILIGHT sequel NEW MOON. Director Chris Weitz persuaded the Radiohead rocker to contribute after admitting he was putting his favourite songs in the movie. Fact: Stars including R.E.M singer Michael Stipe, Radiohead's Thom Yorke, and PIXIES rocker Frank Black have recorded tracks for a compilation album in honour of former MIRACLE LEGION frontman MARK MULCAHY's wife Melissa, who died last year (08). Fact: Bjork's new single, NATTURA, will feature backing vocals from Radiohead frontman Thom Yorke. Quote: "I always forget the words of this one, it doesn't matter though because they're f**king nonsense!" Radiohead frontman Thom Yorke has a low opinion of their new track BANGERS + MASH. Fact: Radiohead frontman Thom Yorke has remixed a classical music track for upcoming LP CORTICAL SONGS, a collection of reworked tunes by a variety of British rockers. The project is set to be released in May (08). Quote: "My mate wanted to go. I said I was tired. Maybe if they play again. But to be honest, probably not." Radiohead frontman Thom Yorke wasn't upset about missing Led Zeppelin's London reunion concert in December (07). Quote: "For some reason, we think too much. We're method actors. For us, it's always hard." Radiohead star Thom Yorke explains the band's serious demeanour. Quote: "It was really fun. All this s**t kicked off and we were all just sitting at home going, 'What?' It was brilliant. Hard hats on!" 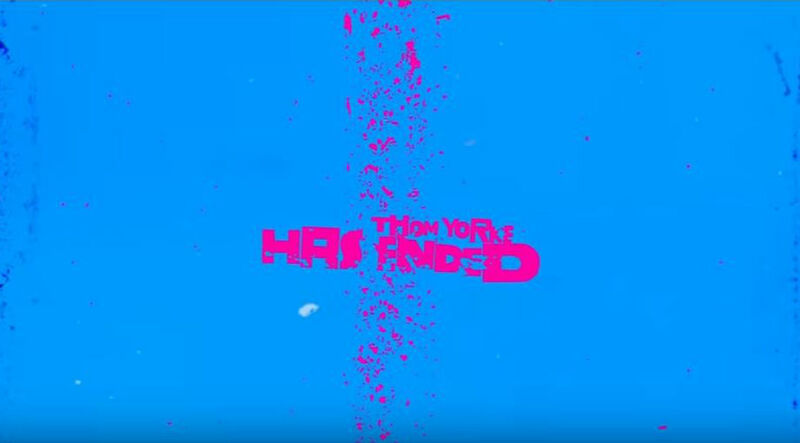 Radiohead frontman Thom Yorke on the world's reaction when the band announced their album, In Rainbows, would be available to download at any price. Fact: Radiohead rocker Thom Yorke has surprised fans by revealing HOW TO DISAPPEAR COMPLETELY, taken from 2000's KID A album is the band's best song He explains, "It's the most beautiful thing we ever did, I think "
Quote: "You can't disappear for six months and come back and expect it to be wonderful. By rights now, we should have split up. Isn't that what we're supposed to do at this point?" 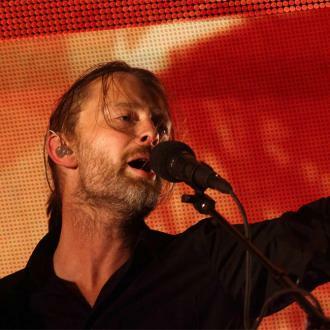 Radiohead star Thom Yorke raises questions about the British group's future. 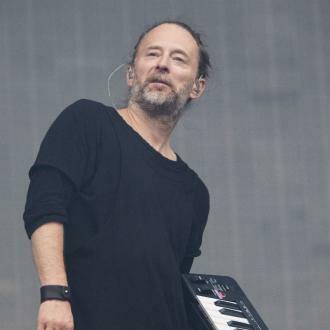 Fact: Radiohead frontman Thom Yorke's first solo album will feature a track the rocker wrote for the soundtrack for Richard Linklater's film adaptation of the sci-fi classic, A SCANNER DARKLY.